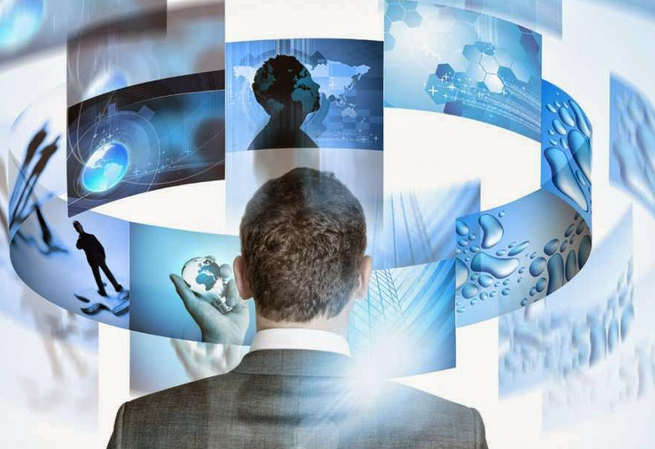 Nowadays, advanced technologies are growing faster wherein each technology is renewed with implementation of new one. The current trending display technology most commonly used in gadgets such as tablets, smart phones, etc., is the touch-screen display, which will become outdated in the near future. Screenless display is the advanced display technology, which replaces the touch screen technology to resolve the problems and to make lives more comfortable. Therefore, this article is intended to give an idea of the screenless display, which transmits or displays the information without using a projector or the screen. By using this screenless display technology, we can display the images directly on the open space, human retina and also to the human brain. 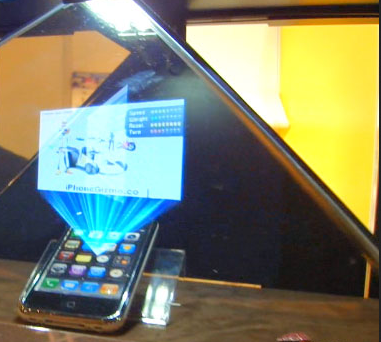 During the year 2013, this display came into progress by the implementation of products like virtual reality headsets, retinal displays and holographic videos. Lack of space is the major drawback for most of the screen displays. This problem can be overcome by the use of screenless displays. Screenless display is an interactive projection technology developed to solve the problems related to the device miniaturization of the modern communication technologies. The lack of space on screen based displays provides an opportunity for the development of screenless displays. As the name indicates screenless display has no screen and it can be defined as a display used to transmit any data such as pictures or videos without the help of screens. 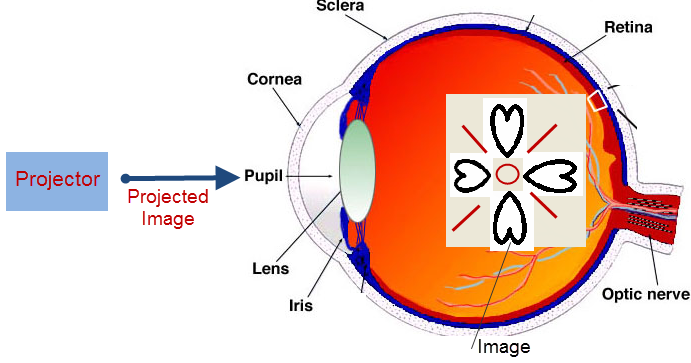 The first category, visual image is defined as the things that can be seen by the human eye such as holograms. The second category, retinal display – the name itself- indicates the display of image directly onto the retina. 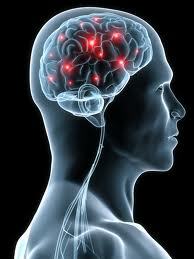 The third category , synaptic reference which means sending information directly to the human brain. Let us look on in detail about these three display types. 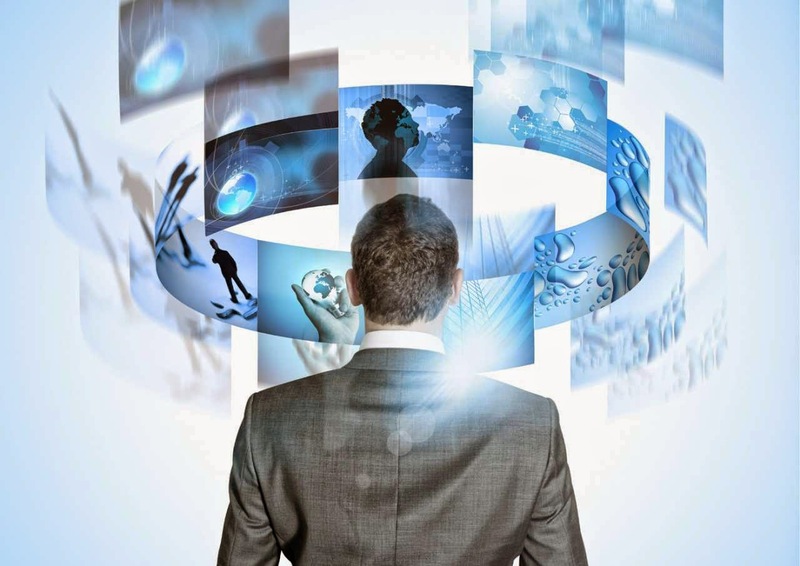 The visual image is a type of screenless display, which recognizes any type of image or thing with the help of the human eye.The following are few examples of the visual image display: holographic display, virtual reality goggles, heads up display, etc. The working principle of this display states that the light gets reflected by the intermediate object before reaching the retina or the eye. The intermediate object can be a hologram, Liquid Crystal Displays (LCD)s or even windows. By using the components like Helium Neon Laser, an object, a Lens,a holographic film and mirror, the Holographic Displays display the three dimensional (3D) images. A 3D image will be projected and appears to be floating in the air whenever the laser and object beams overlaps with each other. This display can supply accurate depth cues and high-quality images and videos that can be viewed by the human eyes without any need of special observation devices. Based on the colors of the laser projector, images are formed in three distinct planes. 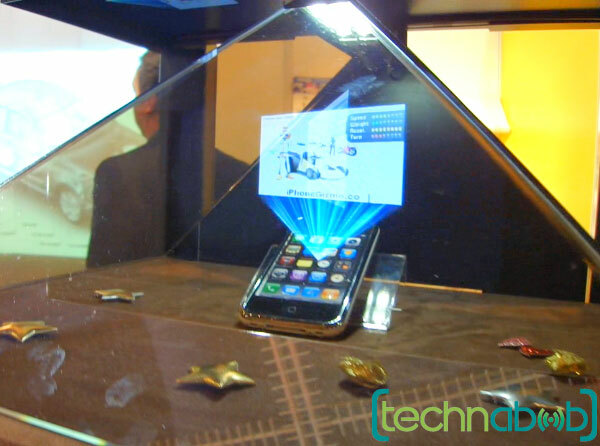 Holographic displays are commonly used as an alternative to screens. 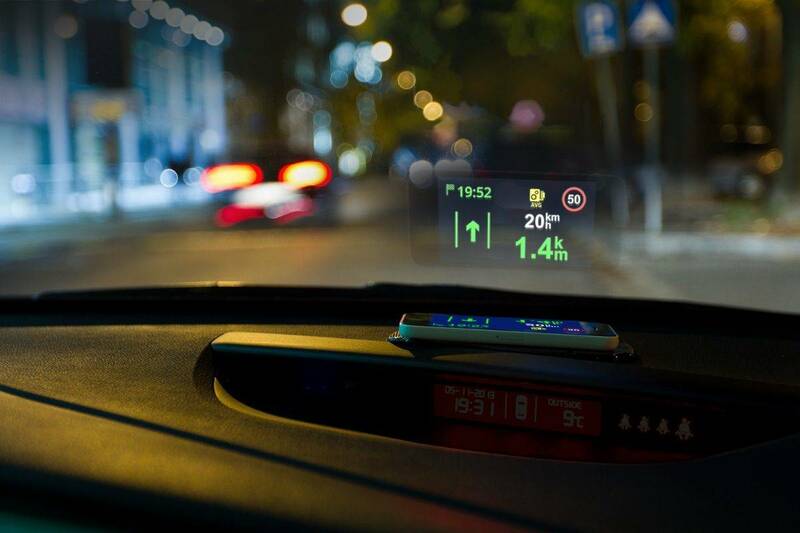 Heads up display are also named as transparent displays. These displays are applied in different applications such as aeroplanes, computer games and automobiles, etc. 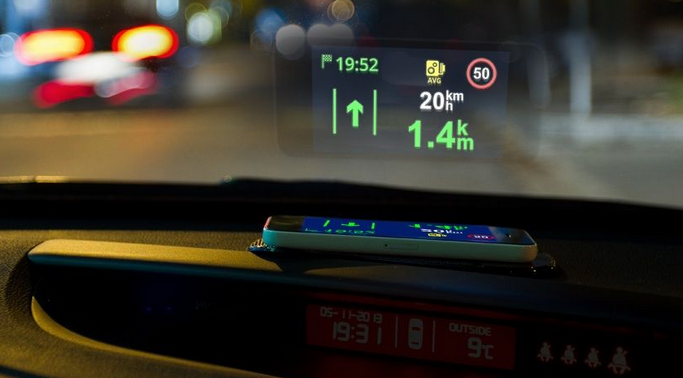 Many of the users do not need to look away from their field of view because the device displays the information on a windshield. An orginary heads up display comprises of following components: a projector unit, combiner and a computer. The projector unit projects the image, and the combiner redirects the displayed image by that projected image, and the field of view are seen simultaneously. The screenless computer acts as an interface between the projector and the combiner (data to be displayed). The main advantage of visual image displays is creating and manipulating the images upto any size. In this category of displays, multiple bitmaps can be composited together in the object mode and, in the image mode, manipulation takes place. In this display system, Eye files are created which consists of all the images that are loaded. The EYE file creates a ‘Export Project Command’ in the file. These commands in EYE file provide a provision to save any sort of unsaved images in the form of bitmaps into it. A common catalog is created to place the browsed images from ‘Export Editor Command’ in the ‘EYE’ file. The second category of advancement in display system, retinal display as the name itself indicates the display of image directly onto the retina. Instead of using some intermediate object for light reflection to project the images, this display directly projects the image onto the retina.The user will sense that the display is moving freely in the space. Retinal display is commonly known as retinal scan display and retinal projector.This display allows short light emission, coherent light and narrow band color. Let us know about this display with the help of the following block diagram. 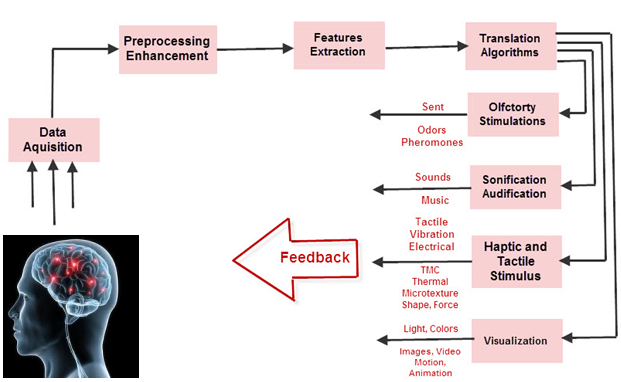 The block diagram of the virtual retinal display consists of following blocks: photon generation, intensity modulation, beam scanning, optical projection and drive electronics. Photon generation block generates the coherent beam of light; this photon source make use of the laser diodes as coherent source with retina display to give a diffraction onto the retina of the human eye. The light generated from photon source is intensity modulated. The intensity of the light beam gets modulated to match the intensity of the image. The modulated beam gets scanned by the beam scanning. By using this scanning block, the image is placed onto the retina.In this beam scanner, two types of scanning modes takes place: raster mode and vector mode. After the scanning process, optical projection takes place for projecting a spot-like beam onto the retina of the eye. The spot focused on the eye is sketched as an image.A drive electronics placed on the photon generator and intensity modulator is used for synchronization of the scanner, modulator and coming video signal. These displays are made available in the market by using MEMS technology. The third category, synaptic interface means sending information directly to the human brain without using any light. 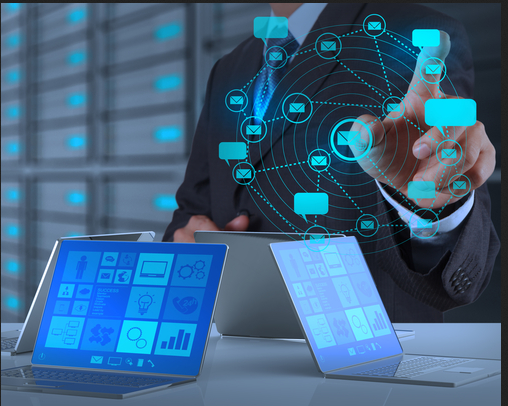 This technology is already tested on humans and most of the companies started using this technology for effective communication, education, business and security system. This technology was successfully developed by sampling the video signals from horse crab eyes through their nerves, and the other video signals are sampled from the electronic cameras into the brains of creatures. The brain computer interface allows direct interaction between the human brain and external devices such as computer.This category can also be known by different names such as human machine interface, synthetic telepathy interface, mind machine interface and direct neural interface. These are the three types of latest Screenless displays which replace the current use of touch screen technology to fill the lack of space in the screen-based electronic displays.We hope that the future definitely looks promising for this technology. Let us wait for the day when we all will be treated by this technology. Leave your comments below. I am in search of data related screen display for a paper presentation. Can you able to help me in any means? informative …will this technology implemented in smart phones??? Please follow the link: https://www.edgefxkits.com/propeller-display-of-time-message for details. Please check the user friendly website for complete details in the kit content section and go through the FAQ for details. Further if you have any queries you can mail us at info@edgefxkits.in or please call on the toll free no. 1800 108 7475 for clarifications/personal counseling.